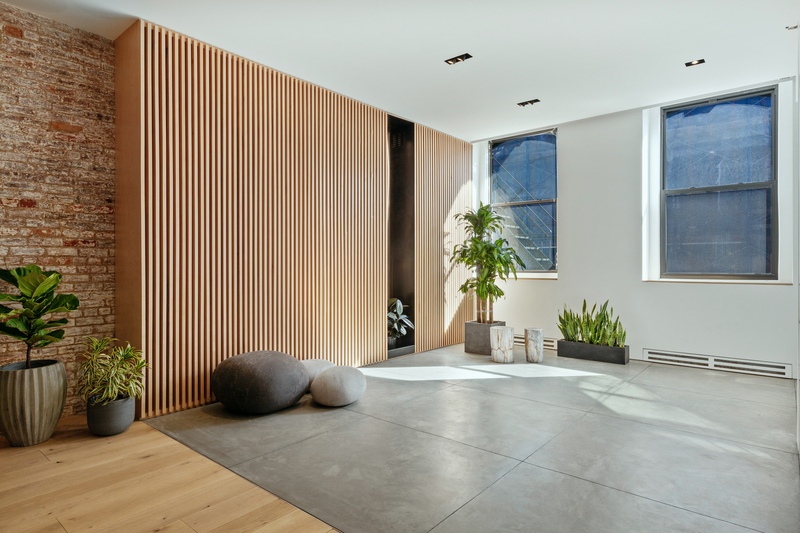 When JoonYong Park and Arum Seo bought their home on Franklin Street in New York’s TriBeCa neighborhood, it was in need of a major facelift. The couple, with the help of Raad Studio, turned the home into a sun-flooded showplace. Six graceful archways define the center of the home in what was once two loft units separated by a brick wall. Contractors exposed the beautiful brick to create warmth and texture in the home. The original brick wall divides the home between public and private areas, with an open-plan kitchen and dining room on one side of the house, and bedrooms on the other. Each archway has steel framed double windowed doors that are completely custom fitted to match the other steelwork throughout the apartment. The unit has a concrete floored foyer that flows into the rest of the apartment. An oversized daybed transitions the foyer through to the main part of the home. 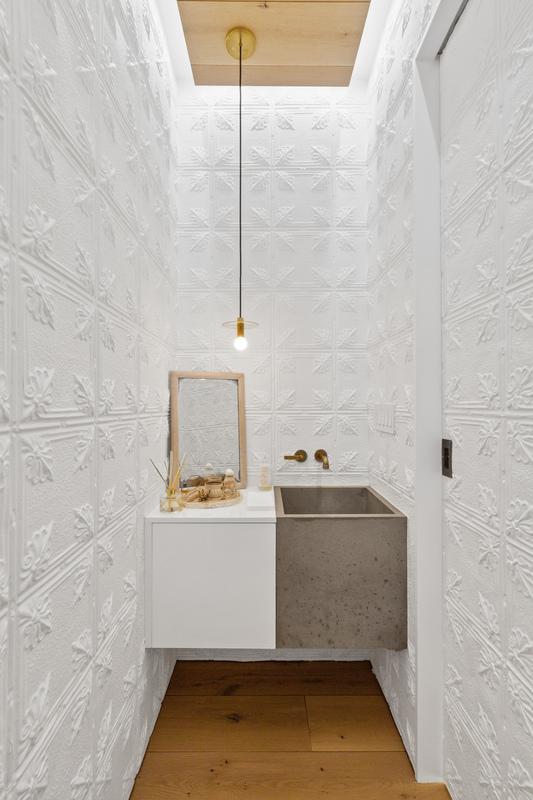 A powder room is lined with the original tin ceiling tiles in the apartment before renovation. The children’s wing is in the southern end of the apartment and has two bedrooms with an enormous play area. The designer kitchen has an oversized, open layout and includes an eight-burner Viking stove with double ovens, 48″ oversized SubZero fridge as well as a 24″ full-height wine cooler and Miele dishwasher. The den/home theater is equipped for movies, special TV events and casual lounging and a slim sliver of a window leading to the children’s playroom frees parents to have their own space while keeping an eye on the little ones. The northern end of the apartment is anchored by the living room and master suite (and home office/guest room). 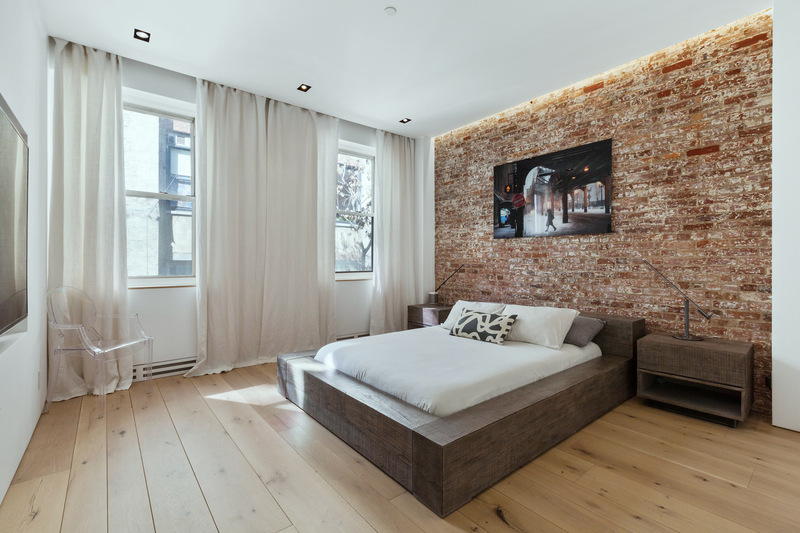 Light-stained wood floors feature panels of different widths, painstakingly placed for maximum interest. 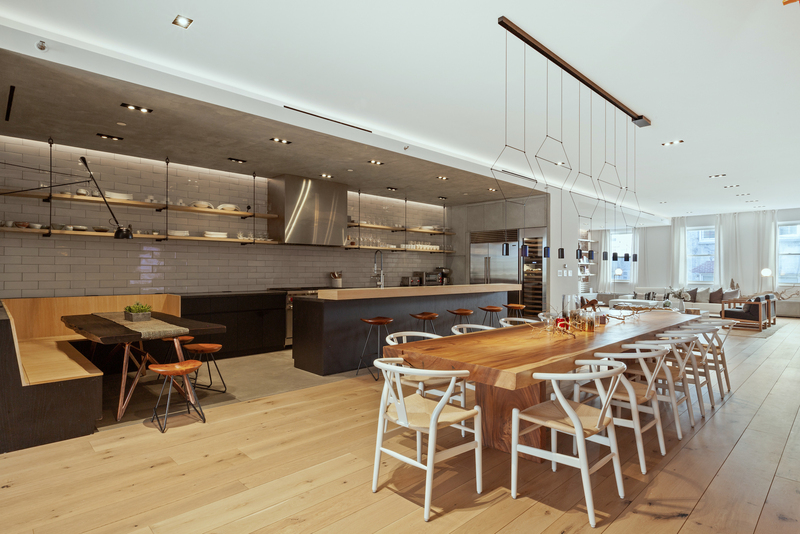 This incredible renovation is listed for $9.5 million with Margolis Espinal Adler team at Elliman Group.